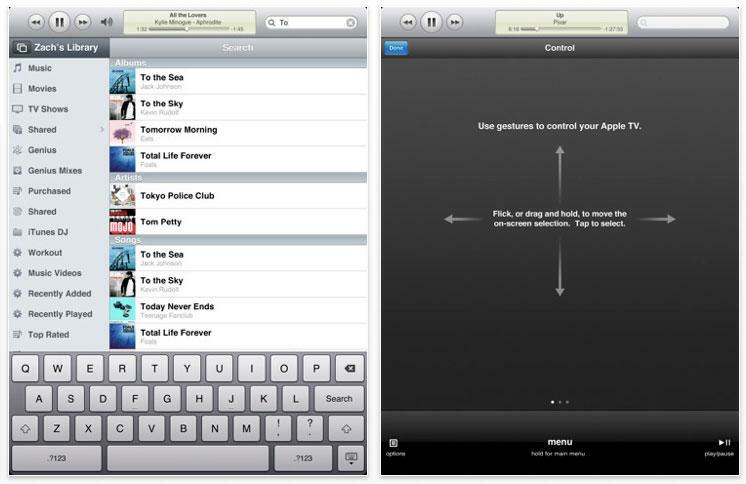 "With a flick of your finger, you can even control every aspect of the Apple TV user interface. Use your devices QWERTY keyboard to quickly tap out the title instead of clicking letters on the Apple TV screen. Then keep tapping to play, fast forward, rewind, and pause to your fingers content."